Is managing your learning content a challenge? Xyleme is the Learning Content Management System (LCMS) of choice for companies that have complex content, helping them to manage the entire content life-cycle. 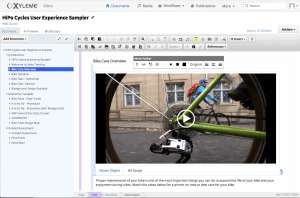 Create, publish, deliver and analyze your learning content efficiently with Xyleme. Watch our product demo now to see how our platform can help you!